Austin City Limits closes out Season 43 with a scorcher: country superstar Chris Stapleton, riding country’s hottest hand with a trio of acclaimed, chart-topping albums and a trio of newly-minted 2018 Grammy Awards, sharing an episode with one of roots music’s most revered acts, red-dirt country-rockers Turnpike Troubadours. 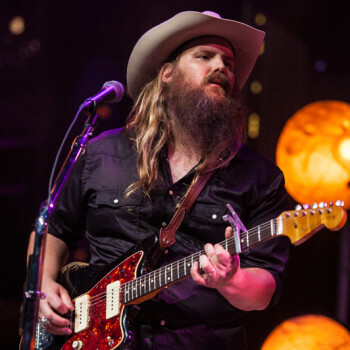 After years penning hits for some of Nashville’s biggest acts, singer, songwriter and guitarist Chris Stapleton took the country world by storm in 2015 with his multi-platinum, double Grammy-winning debut Traveller. Just three years later, Stapleton is the reigning CMA Male Vocalist of the Year, and a five-time Grammy winner, taking a trio of top honors at this year’s ceremony, including Album of the Year for From A Room: Volume 1. The Kentucky native delivers a powerhouse ACL debut with a blistering six-song set fueled by his show-stopping voice, searing guitar and stellar songwriting. Opening with “Hard Livin’,” from his latest, the companion album From A Room: Volume 2, Stapleton follows with an early hit, the crowd-favorite folk-rambler “Traveller.” Joined by wife Morgane on harmony vocals, the couple wrap their voices around each other for the spellbinding gut-punch “Fire Away,” revealing a powerful onstage intimacy, and the pair dazzle on blowtorch stunner “Second One To Know.” Standing solo and acoustic for “Whiskey and You,” the country outlier brings the room to hushed silence pierced only by scattered whoops from the audience between verses. Stapleton closes out the masterful set with the breakout hit from his debut, Southern soul-burner “Tennessee Whiskey,” unleashing the full power of his scorching vocals and earning multiple standing ovations from the can’t-get-enough crowd. 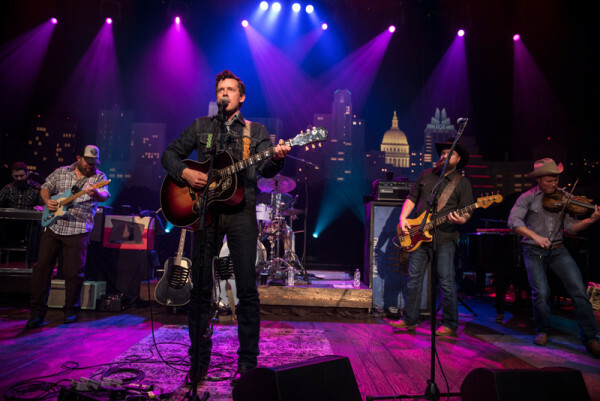 Road-tested country rockers Turnpike Troubadours topped the red-dirt touring circuit this past decade, earning legions of fans the old-fashioned way, through word-of-mouth for their rousing live shows anchored by frontman Evan Felker’s singular songwriting. Their acclaimed new release A Long Way From Your Heart has launched the Oklahoma sextet onto the national stage, and the band opens their ACL debut with the album’s lead song “The Housefire.” The Troubadours perform a six-song, career-spanning set with Felker’s trademark character-driven tunes exploding behind rowdy strings. Throughout their four albums, the band has used a running cast of characters to weave a narrative for their dedicated fans with songs that chronicle the highs, hangovers and heartbreaks of Middle America. “Tell everyone in Austin I love y’all to death” yells Felker during the blazing crowd-pleaser “Before the Devil Knows We’re Dead.” Steel guitarist Hank Early switches to a Dobro for an acoustic duet with Felker on “Diamonds and Gasoline.” Felker calls out to bring the band back for set-closer “Something To Hold Onto,” as the ace musicians ignite in a three-way solo blaze of glory with Early, lead guitarist Ryan Engleman and fiddler Kyle Nix. Tune in this weekend for this episode, and, as always, check your local PBS listings for the broadcast time in your area. Go to the episode page for more info, and don’t forget to click over to our Facebook, Twitter and newsletter pages for more ACL info. Join us next week for a special encore episode, featuring Ms. Lauryn Hill. Austin City Limits presents a feel-good hour featuring Black Keys superstar Dan Auerbach, performing songs from his acclaimed solo album and joined by a stellar band of legendary Nashville musicians, in a double-bill with Austin’s country-soul juggernaut Shinyribs. 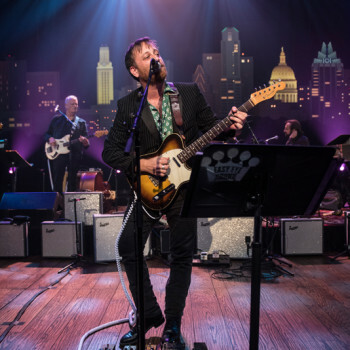 Singer/guitarist Dan Auerbach takes a break from his main outfit, the eight-time Grammy-winning Black Keys, and returns to the ACL stage to showcase songs from his radiant solo release Waiting On A Song. Conceived in his adopted hometown of Nashville with an all-star cast of Music Row’s finest musicians, NPR raves “Each track on Waiting On A Song sparkles like a long-lost gem of early-’70s AM radio.” The restless creative and his ace seven-piece backing crew, featuring many of the record’s legendary silver-haired sidemen, perform a blissed-out seven-song ACL set. Highlights include a pair of timeless tunes co-written with songwriting icon John Prine: the buoyant set-opening title track and an unrecorded gem, “Somewhere Between Eau Claire and East Moline.” In old-school soul revue style, Auerbach introduces his own Easy Eye Sound label signee, 63-year old soul singer Robert Finley, who takes center stage to deliver a dose of his show-stopping “Medicine Woman.” Auerbach closes out the sparkling set with the sunny, melodic delight “Shine On Me” and the crowd is happy to sing-along. 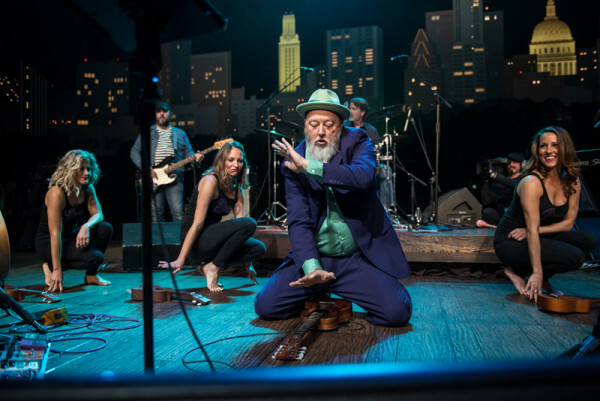 Swamp-pop band Shinyribs keep the party going, delivering a high-energy, full-throttle four-song tour de force in one of the most entertaining performances on the ACL stage. Flamboyant frontman Kevin Russell, aka the “shaman of soul,” is no stranger to legions of music fans as the former leader of beloved Austin band The Gourds (who appeared on ACL in 2007). Russell has ramped up the showmanship in Shinyribs, and the East Texas rockers have become one of Austin’s favorite live acts since forming in 2010. The eight-piece outfit is a party machine, complete with horns, back-up singers and dancers. Performing songs from across their four albums, powerhouse singer Russell is a bigger-than-life force of nature with stage theatrics as lively as the music, delivering delightful repartee, guitar solos, enviable dance moves, call-and-response with back-up singers the Shiny Soul Sisters, all while whipping up a brew of Texas country soul with a side of hip-shaking swamp-funk. The band’s trio of onstage dancers – dubbed the “Riblets” – drape the frontman in a glittery silver robe tricked-out with colorful flashing lights for the roof-raising set-closer “East Texas Rust” as Russell wails on electric guitar. You in Texas baby. Tune in this weekend for this episode, and, as always, check your local PBS listings for the broadcast time in your area. Go to the episode page for more info, and don’t forget to click over to our Facebook, Twitter and newsletter pages for more ACL info. Join us next week for another brand new episode, featuring the ACL debut of country superstar Chris Stapleton and Americana powerhouse Turnpike Troubadours. Austin City Limits showcases one of today’s most thrilling live acts, LCD Soundsystem, for an electrifying hour. The dance-rock band make their first-ever appearance on the program with a victory lap of beloved hits alongside new classics. 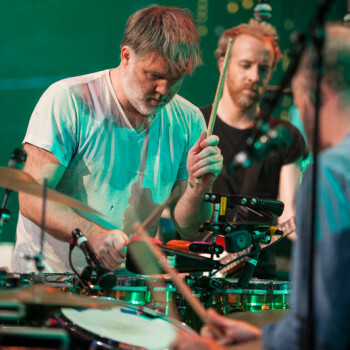 LCD Soundsystem perform songs from American Dream, its first new release after a five-year hiatus and the first #1 album in their decade-long run. Called “a party album for the end of the world or an apocalypse album for the end of the party,” by Rolling Stone, the album earned wide acclaim and landed on many “best of 2017” lists. The New York City band, formed by leader James Murphy in 2002, launches a spectral Austin City Limits set with a pair of songs from their acclaimed comeback: the synth-popping beat of album-opener “Oh Baby” and charging bass and cathartic guitar of dance-floor magnet “Call the Police.” Murphy clutches his signature retro mic and promises the audience a mix of songs old and new as they kick into fan-favorite “I Can Change,” a perfect balance of romantic woe, disco rhythm and pop melody from 2010’s This Is Happening. Murphy’s lyrical wit and soaring vocal is the band’s trademarks and together they dive into the wry melancholy of “New York, I Love You But You’re Bringing Me Down” from 2007’s Sound Of Silver. LCD’s penchant for mixing rock anthems with dance rhythms is in full force on the rock ‘n’ roll disco opus “Tonite,” the newly-minted 2018 Grammy-winner for Best Dance Recording, the band’s first career Grammy win. 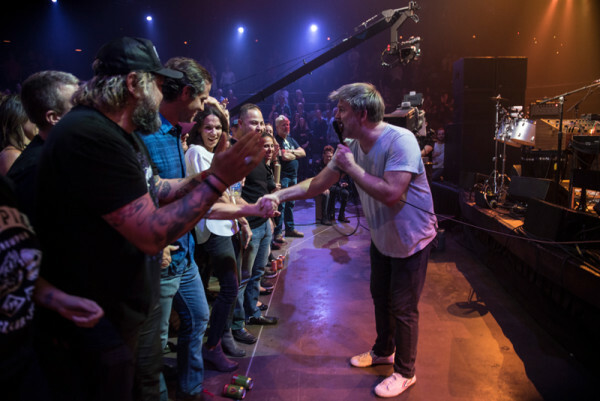 The fascinating hour allows viewers an immersive glimpse into LCD’s artistry, with seven band members onstage to recreate the electronic-based parts of their catalog, layering a potent mix of sounds with free-wheeling electro-pulse synth. A staccato piano riff signals “All My Friends,” an endorphin rush ode to slowing down time that closes out the hour as Murphy gets into the spirit, stepping into the crowd to shake hands with all his new best friends in the front row. Tune in this weekend for this episode, and, as always, check your local PBS listings for the broadcast time in your area. Go to the episode page for more info, and don’t forget to click over to our Facebook, Twitter and newsletter pages for more ACL info. Join us next week for another brand new episode, featuring the solo ACL debut of Black Keys singer/guitarist Dan Auerbach and the debut of former Gourds member Kevin Russell’s party favorite Shinyribs. Austin City Limits presents a groundbreaking hour of hip-hop as powerhouse rap duo Run the Jewels make their first appearance on the ACL stage. The pair perform a 14-track set in a rapid-fire, riveting showcase filled with greatest hits and choice cuts from their acclaimed release Run the Jewels 3. 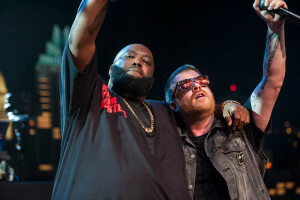 Two veteran rappers, Killer Mike (from Atlanta) and El-P (from Brooklyn), formed Run the Jewels in 2013 to runaway success and much critical acclaim. XXL Magazine calls the unlikely collaborators “partners in rhyme and reason…perhaps the most consistently enthralling duo in all of hip-hop.” Blasting onto the ACL stage, Killer Mike announces, “We’re gonna light this s**t on fire like Willie Nelson would light a joint,” as they break into a titanic rendition of “Talk To Me” from their latest album Run the Jewels 3. The charismatic duo, joined by bandmate DJ Trackstar on turntables, power through the entire hour at a breakneck pace, unleashing furious rhymes without pausing to breathe, backed by a relentless pulse of menacing beats. Run the Jewels’ back and forth is dazzling, spitting out showstopping verses on racism, inner city reality and scathing sociopolitical commentary cut with gallows humor. “I don’t care about what they say about watching TV – I am definitely smarter because of PBS,” declares Mike as the two MCs drop thrilling lyrical smartbombs inspiring the hooked crowd to chant R-T-J! R-T-J! 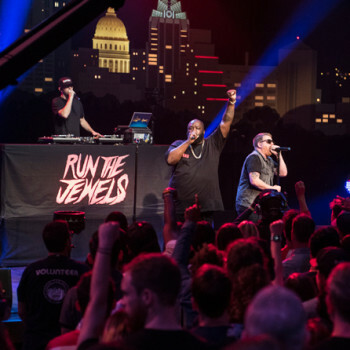 A hallmark of Run the Jewels is visceral, expletive-laden performances and El-P cheerfully apologizes to broadcast censors, with Killer Mike admitting “We curse like goddamn sailors, kids!” The performance is edited for broadcast, but an uncensored version will be available for fans on the ACLTV YouTube Channel January 28, following the program’s initial broadcast premiere. Tune in this weekend for this episode, and, as always, check your local PBS listings for the broadcast time in your area. Go to the episode page for more info, click over to YouTube for the related episode of ACL Backstage, and don’t forget to click over to our Facebook, Twitter and newsletter pages for more ACL info. Join us next week for another brand new episode, featuring reunited alt.rock champs LCD Soundsystem. 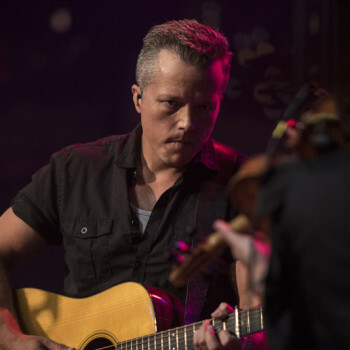 Austin City Limits presents an hour with two extraordinary singer-songwriters, Jason Isbell and Amanda Shires. The husband and wife duo unite for a special double-bill as Americana star Isbell returns to the ACL stage to share an episode with his partner and collaborator Shires as she makes her solo ACL debut. Tune in this weekend for this episode, and, as always, check your local PBS listings for the broadcast time in your area. Go to the episode page for more info, and don’t forget to click over to our Facebook, Twitter and newsletter pages for more ACL info. Join us next week for another brand new episode, featuring jazz legend Herbie Hancock. 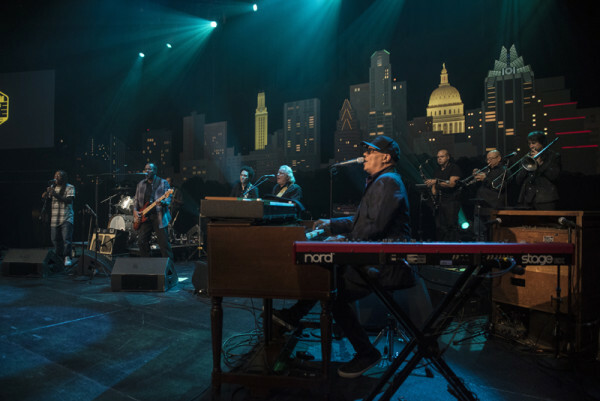 The iconic television music series Austin City Limits announces the second half of Season 43, with seven all-new shows to begin airing January 6 as part of the program’s fourteen-episode season. 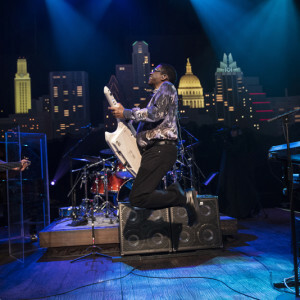 The stellar slate of broadcast episodes features highly-anticipated debuts from today’s most talked-about live acts, continuing Austin City Limits’ run as the longest-running music television show in history, providing viewers a front-row seat to the best in live performance for over 40 years. The season returns in January with many recent Grammy-nominees, all new to the ACL stage, including indie-rock provocateur Father John Misty, powerhouse rap duo Run the Jewels, dance-rock band LCD Soundsystem and country phenom Chris Stapleton. Father John Misty delivers an epic performance backed by a 16-piece orchestra; Run the Jewels ignite the ACL stage in a rapid-fire, riveting showcase; LCD Soundsystem perform a career-spanning set for the ages; and country superstar Chris Stapleton, the reigning CMA Awards Male Vocalist of the Year, makes a stunning ACL debut, joined by his wife, singer Morgane Stapleton. 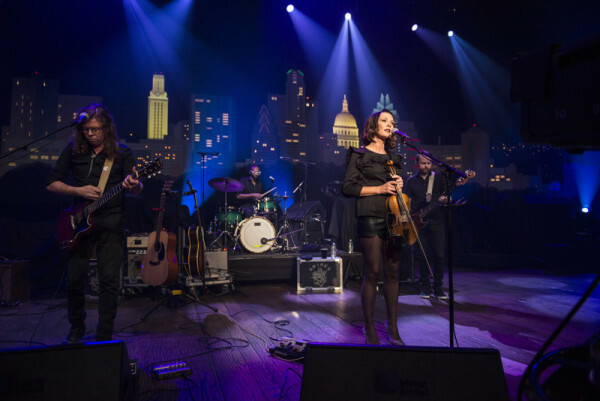 Husband and wife team Jason Isbell and Amanda Shires unite for a special double-bill as Americana star Isbell returns to the ACL stage to share an episode with his partner and creative collaborator Amanda Shires, making her ACL debut. 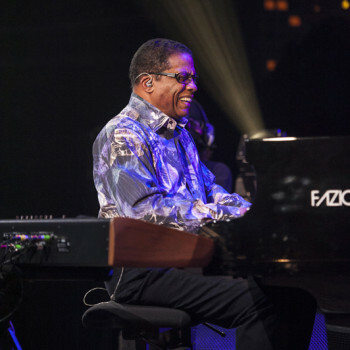 A season highlight is the first-ever appearance of jazz trailblazer Herbie Hancock in a thrilling hour of classics and new songs. Black Keys superstar and ACL veteran Dan Auerbach makes his solo debut showcasing new music from his first solo release in 8 years. The extended line-up features breakout red-dirt country band Turnpike Troubadours and Austin favorites Shinyribs in first-time ACL appearances, as well as the return of a standout, acclaimed Austin psych-rockers The Black Angels. Go behind the scenes with ACL Backstage, a new 10-part virtual reality video series, offering viewers immersive only-in-VR moments straight from the current season. 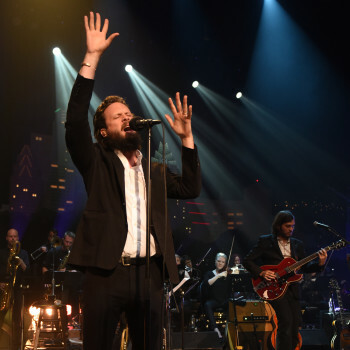 The series premiered in November on the ACLTV YouTube Channel and continues to debut new installments to coincide with the Season 43 line-up, including Father John Misty, Run the Jewels, Dan Auerbach and Shinyribs. ACL Backstage offers viewers a chance to hang backstage with favorite artists and join them onstage with closer-than-front-row seats. The series was developed with Google’s Daydream team and in partnership with SubVRsive Media. “In a season when we’re celebrating a significant milestone of longevity, I think it’s great that we’re staying on the cutting edge of technology and bringing ACL fans new and exciting ways to experience live music,” says ACL GM Tom Gimbel. ACL’s Season 43 premiered in October with unforgettable performances from Ed Sheeran, Miranda Lambert, Angel Olsen, The Pretenders, Zac Brown Band, Norah Jones, Benjamin Booker, The Head and the Heart and more. The award-winning series will continue to broadcast fan-favorite encore episodes through the end of 2017. In what has become an ACL holiday tradition, the program will encore Tom Waits legendary December 1978 performance, one of the most requested episodes in ACL’s 40+ year archive. Tune-in on December 23rd to see this classic Christmas episode. 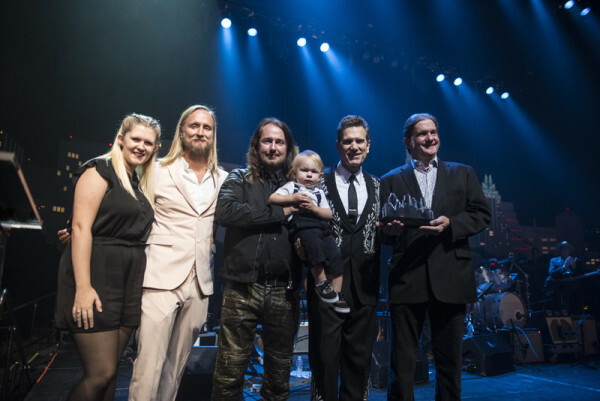 A special broadcast of Austin City Limits Hall of Fame New Year’s Eve airs Sunday, December 31 at 10pm CT/11pm ET. 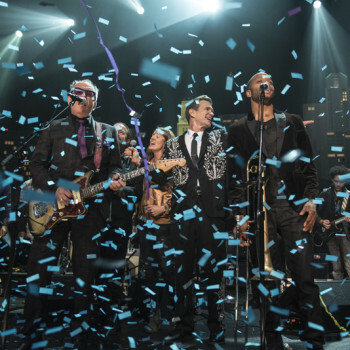 Austin City Limits rings in the new year with the star-studded celebration, hosted by Chris Isaak, featuring one-of-a-kind performances and collaborations from the 2017 ACL Hall of Fame induction ceremonies. 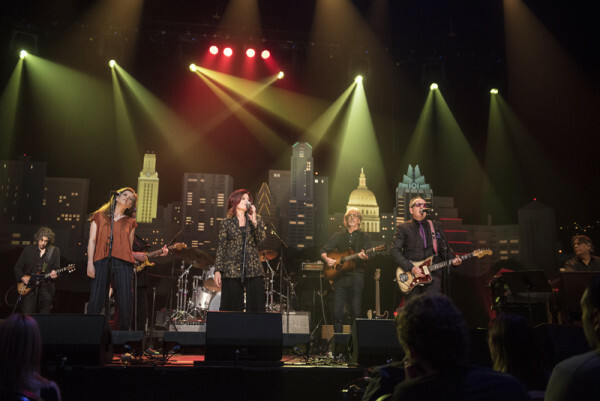 Performers include ACL royalty Rosanne Cash, Elvis Costello, Neko Case, Ry Cooder, Chris Isaak, Brandi Carlile, Raul Malo, Trombone Shorty, Dr. John and more.